Does what it says on the tin. Posts. Of my Heywards. All of 'em. All winter long. They're already scanned to boot. Gotta do something until baseball starts up again. 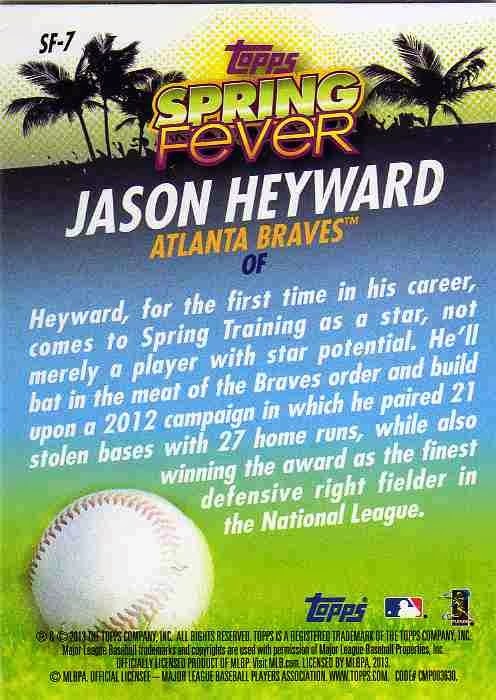 Have a Heyward promo thing. 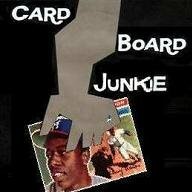 I think this was the beginning of the season Topps Hobby Store Promo Thingy. Not sure if it was given away once a week or in packs or what, but I've been to two card shops lately and the cheapo boxes were completely infested with these things. The front is very refractory/shiny, but scans this sickly chartreuse. I picked up the entire 50 card set for $5 recently. 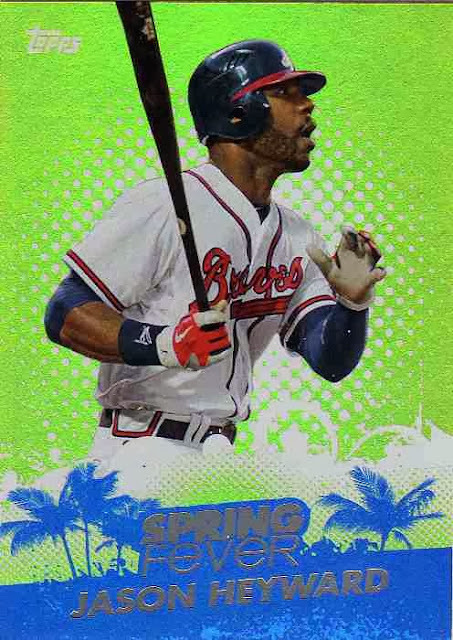 At 10 cents a card I figured that wasn't bad.